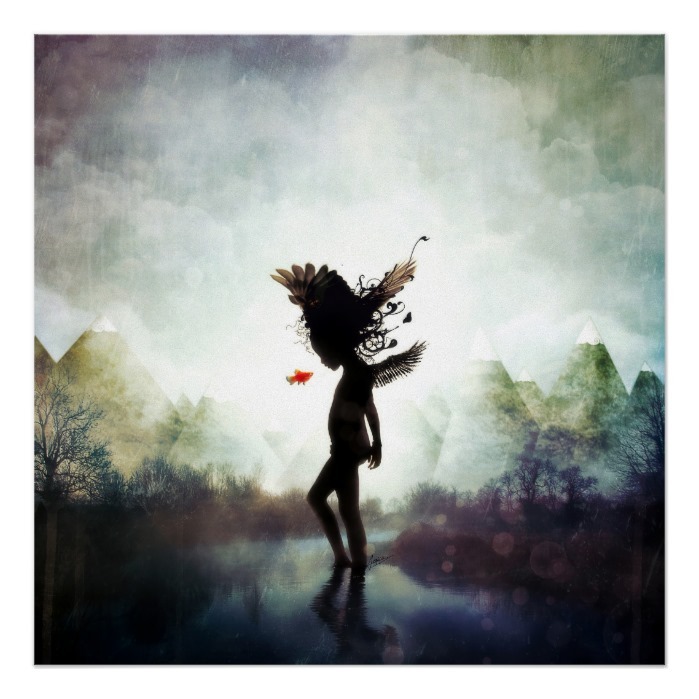 A beautiful, mesmerizing, surreal, wonderful, digital art illustration by Aegis-Strife, featuring a beautiful, young angel, with her wings open, walking on water, and a goldfish swimming upto her mid-air. Featured here on a 24" x 24" poster. A beautiful custom poster, great for home and office decor. A beautiful work of art for your wall. You may have the print framed while ordering. Makes a wonderful gift for friends and family, for birthday, christmas, holidays, and more.